A private investigator salary ranges considerably, depending on several variable factors, including the type of vocational path followed. Many professional investigators do not even draw a regular salary, since they are owner/operators and earn different amounts of money each month, depending on the success of their business. Meanwhile, other detectives draw a regular salary or even get paid hourly wages, depending on their particular job title. This article helps investigators to better understand their earnings potential in a variety of job types and career paths. Owning a small investigation business will not likely provide a predictable income. When the company is busy, you may earn a substantial amount of money, but if there is no work, then there is also no money. This is why budgeting is crucial and you should always keep funds in reserve for lean times. This is especially true in a bad economic climate or when your business is new. Owners of larger firms are likely to draw more money from their businesses when times are good, but must maintain employee compensation, insurance and other operating costs, even when work is scarce. Owning a large private investigation agency is a double edged sword: When things are good, they are really good. But, when times are tough, they are really, really tough. You can work for an insurance carrier as an insurance adjuster or SIU agent. 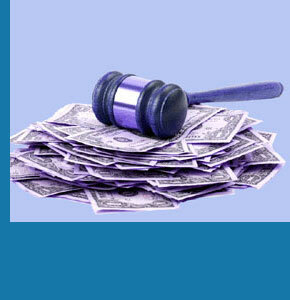 You can work for a law firm as an in-house investigator. 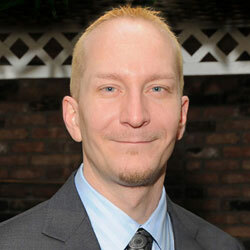 You can work in the corporate investigation field as a store detective or loss prevention specialist. There are many possibilities for a qualified and talented investigator to earn a good living, working for someone else. Working for a company is advantageous, since it is a steady gig and allows you to draw regular pay. However, just remember that you will earn more for your employer than you will receive yourself. This is a basic truth of business. Your earning potential will never be as high working as an employee, as it will be if you were the owner, but your liabilities will also be far lower. 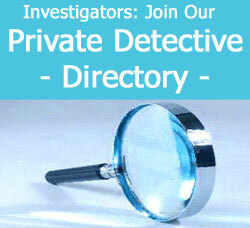 US statistics show private investigators currently earn an average of approximately $30,000 to $40,000 a year. However, this statistic is very misleading, since many working investigators earn 3 or more times this figure, while a great number of part-time detectives earn very little. There is little evidence that particular types of investigators earn considerably more than others, by niche, although insurance investigators often rank on the lower end of the spectrum. Obviously, owner operators or successful agencies can earn in the six or even seven figure range. One thing is for sure: The key to earning money as a private eye is to be successful in your assignments and maintain a steady supply of cases on which to work. Without assignments, your qualifications are meaningless and your income will be zero.